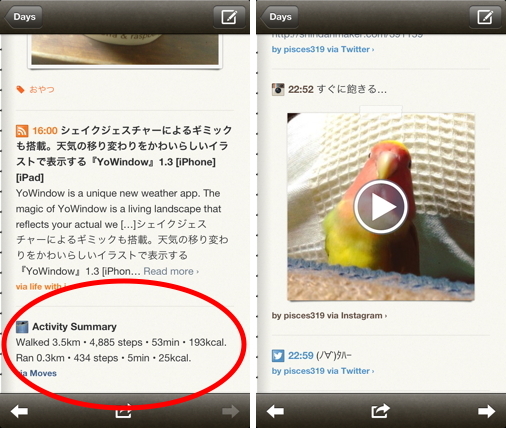 Moves feed: track the places you visit and your daily activity. 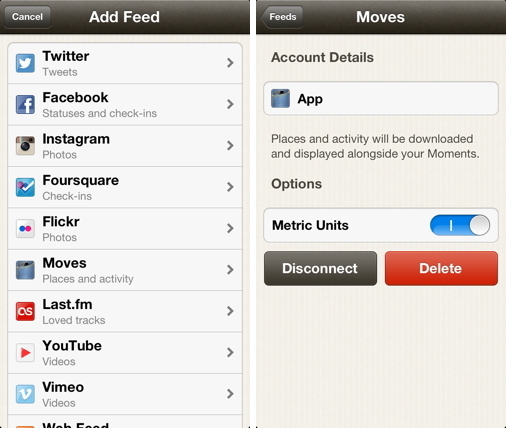 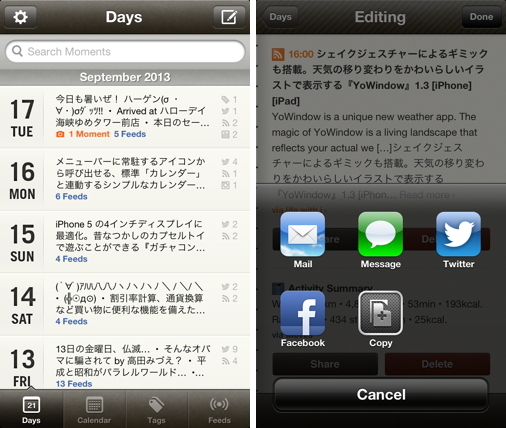 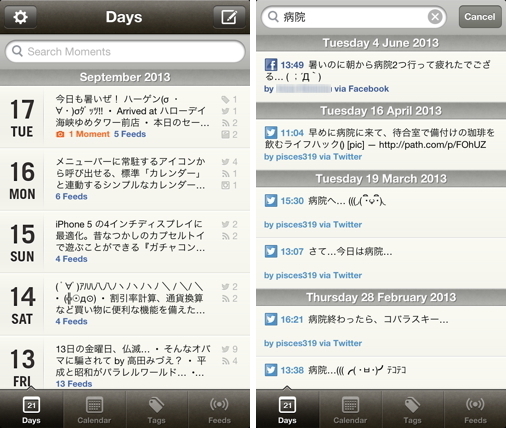 Share moments by email, message, Facebook or Twitter (iOS6+). 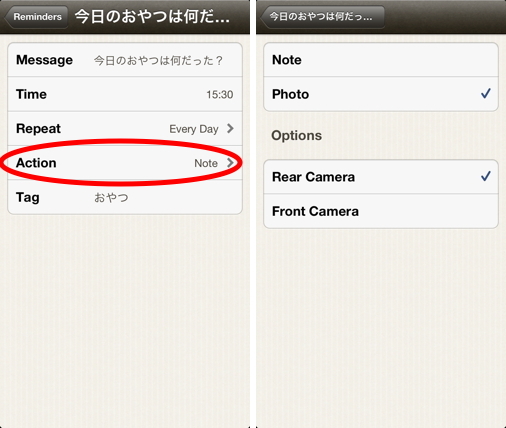 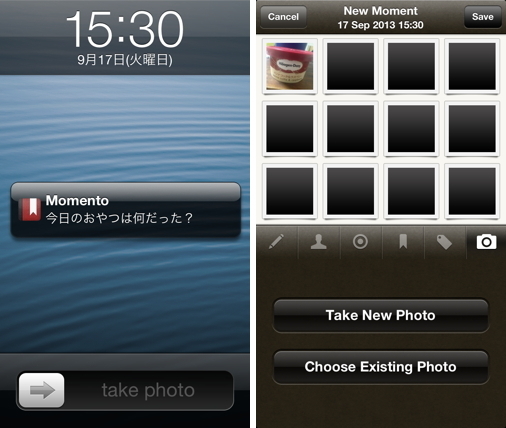 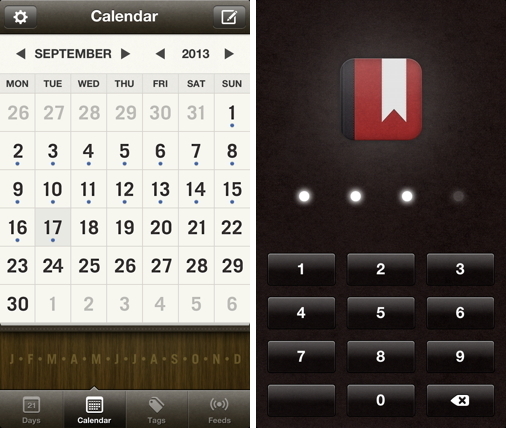 Camera action for reminders launches Momento into camera mode (front or back) for quick capture. 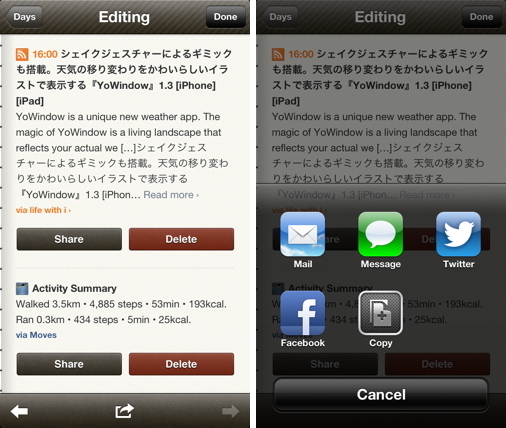 Send exports and backups to other apps (such as Dropbox or Google Drive) for safe keeping (iOS5+).